Lightweight, compact, portable security with simple to use snap shut lock. 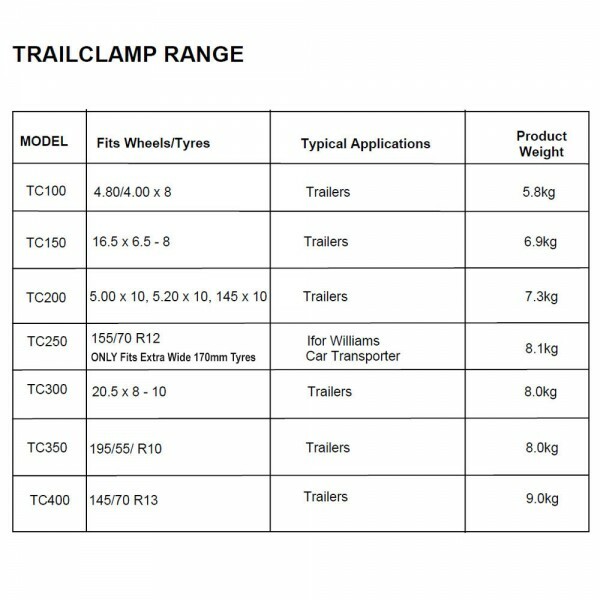 Designed for smaller camping trailers and jet-ski trailers. 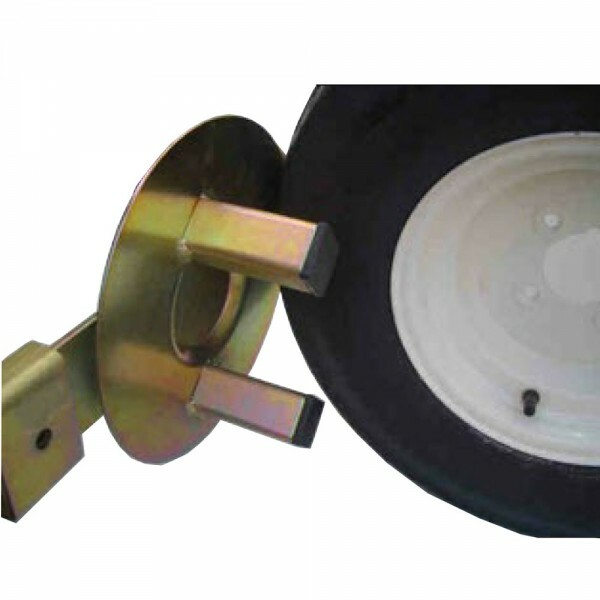 The Bulldog TrailClamp requires inset wheel nuts to allow the two 60mm studs on inside of disc to sit within rim. High security, integrated drill and pick resistant lock. 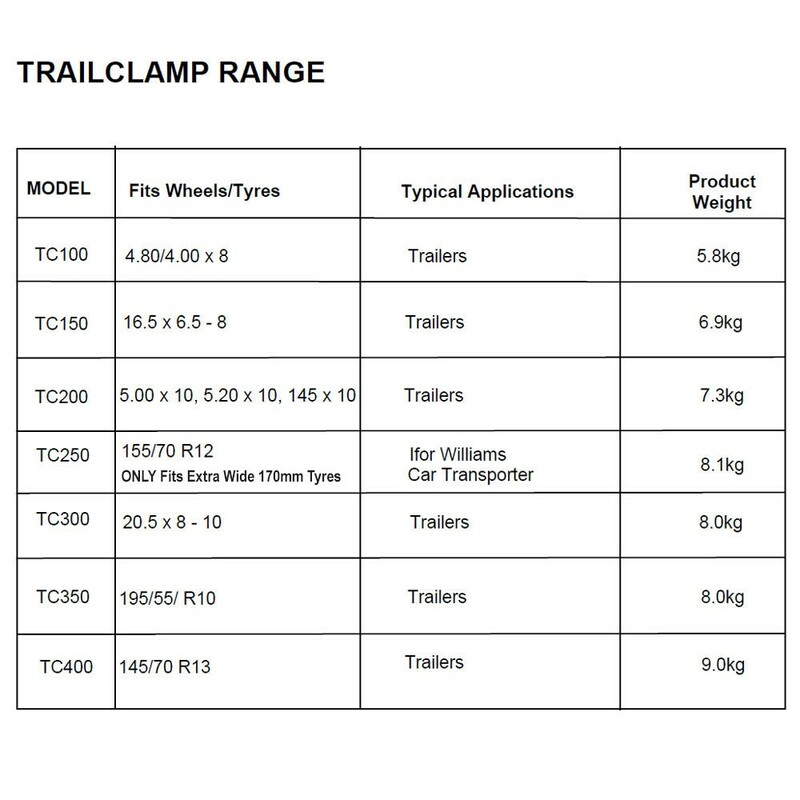 NOTE: Sizes quoted are as supplied by manufacturer - please check against actual tyre markings before ordering.